Holidays, we all love them right? Time off from work, an opportunity to relax, indulge and enjoy your new surroundings, that’s what holidays are all about. One issue that can cause some unwanted discomfort and fatigue upon arrival is jet lag. Most travellers have experienced jet lag at one time or another, whether you’ve been exhausted and desperate for sleep at the height of daylight or up and awake in the middle of the night, jet lag can be the dampener on a well-earned vacation break. Thankfully for you, we here at Just The Flight are travel experts and we’ve come up with a useful guide on how to beat the lag and make your holiday all that more enjoyable! Let’s start with the medical; Jet lag (or ‘desynchronosis’ as it’s medically referred to) is a physiological condition which results from alterations to the body’s circadian rhythms (your body clock) resulting from rapid long-distance travel, typically on an aircraft. And breathe. Practically speaking, jet lag is the feeling one encounters when taking a long flight that crosses multiple time zones, and how the body takes time to re-adjust to the new time zone and new sleeping pattern. Jet lag affects individuals to different degrees, but a generally accepted rule of thumb is that it takes 1 day to adjust to crossing 1 time zone. So when taking a flight from London to New York for example, you would cross 5 time zones westwards, so in theory it will take up to 5 days for your body clock to fully adjust to the new time zone. Everyone reacts slightly different to jet lag, but is there a way to significantly minimise the effects? 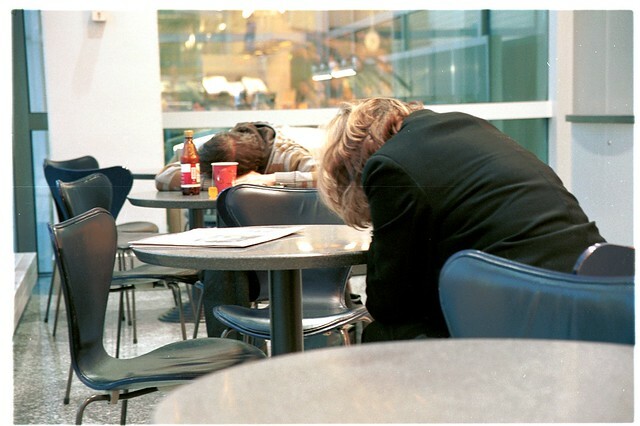 What can you do to minimise the impact of jet lag, before your flight even takes off? Sleep well – Ensure that you are well rested in preparation for a long flight, which means no late nights, no alcohol and no caffeine! There will be plenty of time to party when you arrive at your destination!! A good night sleep will help particularly if you are travelling west as you will arrive at your destination earlier in the day than where your body clock is actually at. Adjust your sleeping routine – In the days leading up to your departure you can start to change your sleeping pattern incrementally to help with the adjustment upon arrival. Continuing with the ‘travelling west’ example, try going to bed an hour later and getting up an hour later the next day. Repeat the following day and add a further hour to your sleep and rise times – this will help make the transition to the time zone of your destination as you will be used to a later sleeping time than you’re used to. Book a stopover – A lot of folks try and avoid a stopover during a long haul flight, but there are some benefits to beating jet lag. For stopovers lasting a matter of hours, these are a great opportunity to stretch your legs and perhaps even have a refreshing shower which will brighten you up and make you less tired when you arrive at your final destination. Plus, it can be cheaper to take an indirect flight! An alternative is to intentionally book a longer stopover of a day or two – if you have the time to incorporate a short stop in a city, this will also make the jet lag a more gentle process. Adjust to your new time zone – As soon as you board your flight, adjust to the time zone of your destination. If the locals are sleeping in your destination then so should you be! This will again help your body clock adjust to the time zone it will shortly be arriving in!! Sleep aids – Sleeping on a plane is never easy, even if you’re fortunate enough to be able to fly business or first class with increased legroom or special sleeping seats! Eyeshades and earplugs are a must, and even if you feel like you’re unable to doze off while cruising at 30,000ft, try and still use the eyeshade and earplugs while relaxing as this will help minimise sensory disturbance and at least make your body less ‘awake’ than it should be. Drink water, stay hydrated – Dehydration can intensify the effects of jet lag, especially after sitting in a dry cabin for many hours. Resist the offers of free caffeinated and alcoholic drinks until you arrive jet lag free in your destination! Medication – Strictly subject to your doctor’s approval, medication can help reduce the effects of jet lag. Many airline staff for instance take melatonin to help regulate their daily cycle as they can be most severely affected by jet lag, and there are other sleep inducing pills that can help. Diet – Eating a light and healthy meal free of processed foods will keep your digestive system in check during the flight, which will again minimise disturbances particularly if you plan to sleep on board. Anchor sleep – If you ordinarily get 8 hours during any 24 hour period, you should try and keep this pattern consistent upon arrival at your destination. Ideally at least 4 of these hours should be used in a single block during local night – this is known as the ‘anchor sleep’. Gradually adding to this ‘anchor sleep’ over your first couple of days will help your body adjust to the new time zone, and eventually you will get a full 8 hours during the night, local time. Diet – Upon arrival have a substantial meal with plenty of fresh fruit and vegetables as these will give you balanced sugar levels. Vitamin D can also help with this immediate adjustment period. Natural light – Exposure to light and dark is crucial to the setting of the body’s internal clock. In the case of trying to get to sleep when you don’t necessarily feel tired, avoid televisions, laptops etc as the light they generate tells the deep reptilian part of your brain to stay awake and focused. Likewise if you feel tired but are only mid-way through the day locally, try and spend time outside in natural light rather than in a dark hotel room. Falling asleep might be tempting but it will undo all of your good work to this point!! Exercise – After sitting on a long flight for several hours, some light exercise can do some good to relieve stress and tension and help relax you. And that’s it, our guide on how to defeat the unforgiving beast that is jet lag! Above all make sure that you have a fantastic holiday and if in doubt, book a few days extra on that Caribbean island, just to help you ‘acclimatise’ better to the paradise! Anchor sleep – great tip, I’d never heard that expression and always found it really hard to “stay up” when it was still my ‘nighttime.’ This seems like a good happy medium.